Vegetable tanning is the most traditional way of tanning hides. The tanning process uses natural ingredients from plants which make the finished colors warm, rich tones of natural browns. The appearance will age and mature beautifully with day-to-day use. People won't forget bring keys, money and phone when they going out. If they want to drink, there might not have a corkscrew. This key chain with corkscrew so that you can drink wherever you are. Also, it includes LED which can help you find key hole easily in the dark. 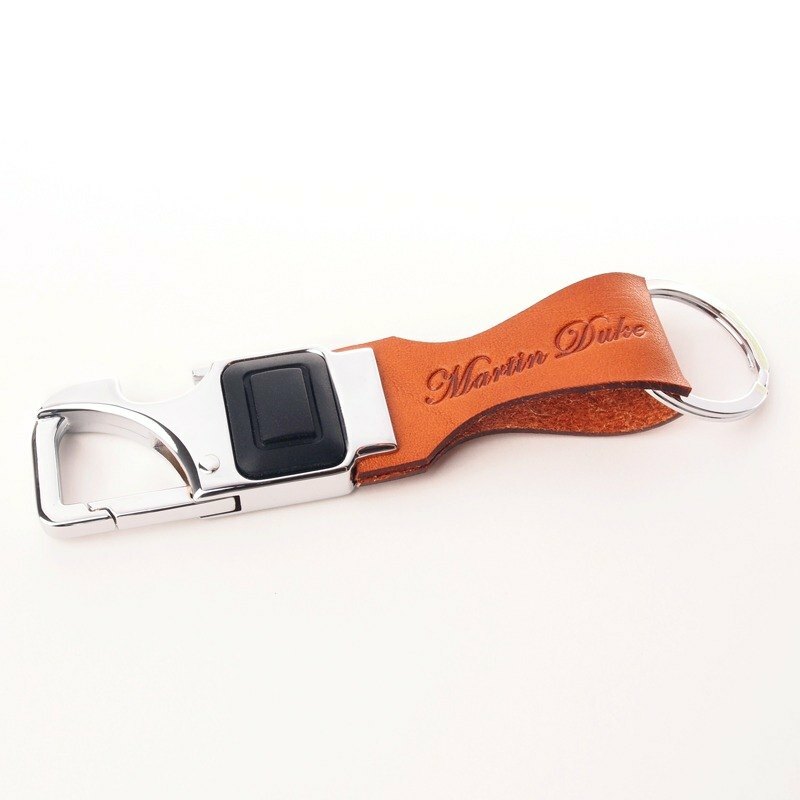 Material：Italian leather / Zinc alloy Size：110 X 21 X 8 mm ﻿Color：Light Brown Here are other kinds of key chain https://en.pinkoi.com/store/martinduke?subcategory=217 ※ The color is for reference only, please pay attention before purchasing, as the actual product may have differences than the picture.